The nine storey citizenM Tower Hill hotel, a collection of 370 bedrooms over eight floors above the exit hall of the Tower Hill London Underground Station, cleverly makes the most of its location. 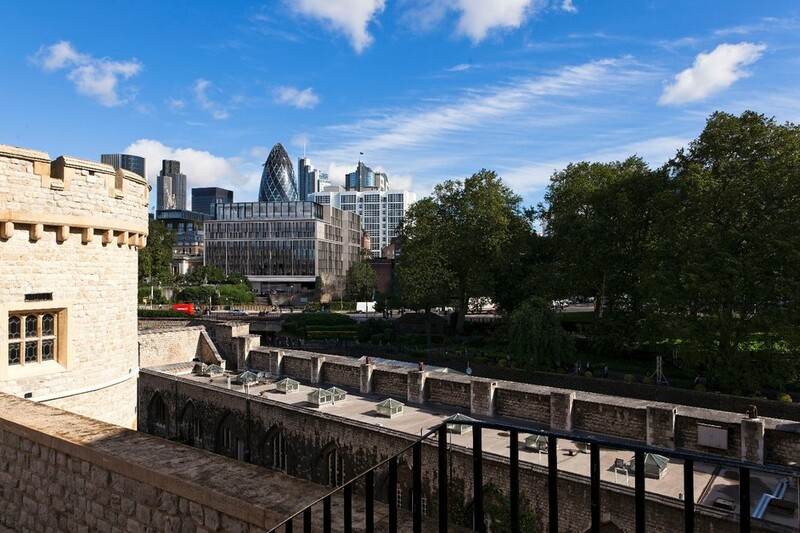 Overlooking the world heritage site of the Tower of London, the best views are from the outside terrace of the top floor cloudM bar from where you can also see Tower Bridge, the Gherkin and the Shard. Communal areas make use of cool design touches: the atrium features a mesmerising kinetic art installation - jelly fish like lights float up and down - designed by the Amsterdam based duo Studio Drift while a Julian Opie piece overlooks the open bar area. This ground floor cafe and gallery and bar is for residents and locals alike, and a SocietyM business club on the eighth and ninth levels cater for business travellers. The most affordable rooms may be small - the bed takes up most of it - but every space is put to good use and an in-room iPad means you can control everything - from the TV to mood lighting - without leaving your very comfortable big bed. Further London hotels from the group include citizenM St Paul's, near St Paul's Cathedral, and citizenM Bankside close to Tate Modern. Are you booking for a group of people? If you are making a booking for a group of people and require over 10 rooms, you may prefer to speak to the Group Booking Department for citizenM Tower Hill bookings. Special deals can be arranged for groups, including discounts and arrangements for adjacent and inter connecting rooms if required. Call the Groups Reservations Department on 020 7292 2307. The best way to book a group deal is to complete the online form for group reservations at citizenM Tower Hill. What are the best dining options near citizenM Tower Hill London? citizenM Tower Hill gyms, sporting activities, health & beauty and fitness. The best pubs near London citizenM Tower Hill. citizenM Tower Hill clubs, bars, cabaret nights, casinos and interesting nightlife. Where to have your meeting, conference, exhibition, private dining or training course near citizenM Tower Hill. From cheap budget accommodation to luxury 5 star suites see our special offers for citizenM Tower Hill hotels, including DoubleTree by Hilton Tower of London from 87% off.